Staff Reporter: Engr. 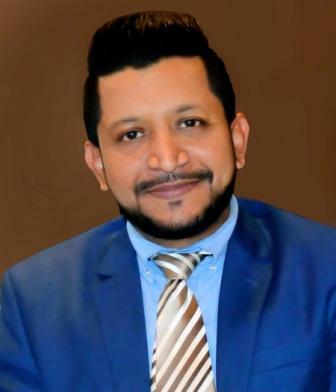 Anisul Hoque Ansari is a veteran in Operational excellence in RMG supply chain, operations and strategy with an experience of 13 years in the same industry. He has a proven track record of Business and financial planning for new RMG projects, Running RMG operations in Knit & Woven and hands on experiences in marketing, merchandising, planning, Engineering and manufacturing. He is also well known in improving/optimizing Management system, policy and 360 degree HR functions. He is currently working as CEO in a vertically integrated Group of Company, where he manages the entire business. Mr. Ansari was also working as the head of technical services for COATS Bangladesh, Head of Supply Chain, IE & Technical for Aman Group Ltd, head of manufacturing and engineering in Crystal Group (Hong Kong), founder project and operation head of Noman Fashion Ltd. and head of technical services in JUKI Bangladesh Ltd. He is vice-president of SUST IPE Alumni Association, lecturer for BDJOBS training, Consultant for Prothom Alo training, Lecturer for BGMEA University and former consultant for CEP project by BGMEA-GIZ. He has been consulted and trained to couple of RMG industries in Srilanka, Vietnam and Bangladesh. He was also a former lecturer for AOTS trainings in BD. He is extensively trained & certified in Strategy and business innovations, Lean manufacturing (Japan), Six Sigma (STS, ASQ-USA), and Flexible manufacturing system (China), real time manufacturing tracking and MIS automations (China), Industrial Engineering excellence and TQM (AOTS). He has completed his Industrial and production engineering from Shahjalal University of Science and Technology.